Adding social bookmark at the bottom of every post seems to be a favorite request. Fortunately, AddThis has made it very easy. You can see an example of this at the bottom of every post of Natural Remedies. To include the button beneath each post, go to LAYOUT, click EDIT HTML, tick EXPAND WIDGET TEMPLATE, search for <div class="post-template"> tag and paste the code immediately after the tag. A fast way of finding the tag is to press ctrl+F and search. After you have pasted the code into the template, PREVIEW and if everything OK, save template. IMPORTANT: Always backup template and backup Widgets (formerly called Page Elements) before editing the template. CSS is short for Cascading Style Sheets and is used for controlling the presentation (fonts, colors and layout) of documents written in Markup Languages like HTML, XHTML and XML such as blogs. CSS can be written in a separate document called from the template, written in the template itself or written within this post itself (inline CSS). For example, the HTML tag for a paragraph is <p>. Now suppose we want the paragraph below to stand out from the rest of this post by adding background color, we can do that by using inline CSS. Blogger has added quick edit icon to the bottom of the post which is only visible when you are logged into your Blogger or Google account. This is a great convenience. However, if you are using some third party template and not the standard template provided by Blogger, this very convenient pencil quick edit icon may be missing. There have been a number of bloggers who have asked how to put it back. If the above all checked OK and there is still no pencil quick editing icon in your posts when you are logged in, then you will have to check the template. For this, Amanda of Blogger Buster have done a good writeup. 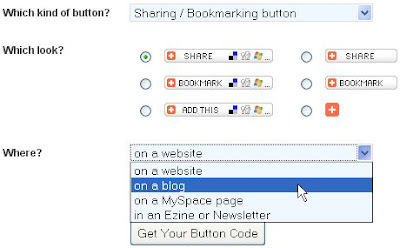 Refer to How to add Quick Edit Pencil to Blogger Posts. Note: a scan of the comments showed that while some have succeeded, others have failed, so may I wish you luck if you want to try it. The statistics showed that the percentage of small screen (800x600) resolution has fallen to just 2% while those with 1024x768 pixels and increased to 35%. This shows that I probably should now designing this blog to cater for visitors of 1024x768 pixels and above. Now in addition to the question of screen resolution, there is also the question of readability. As discussed in What is the best template?, a readability study showed that content should be around 60 CPL (characters per line). I tend to agree because I use a wide screen and when I come across text which stretches the whole breath of my wide screen, I find it difficult to read and to scan. When I read until the end of one line, I have to search for the beginning of the next line and that can be a bit difficult as the end of a line and the beginning of the next line can be separated by a large distance. 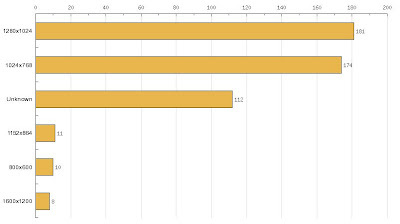 Thus the width of the main column (content) was increased from 400 pixels to 450 pixels only. If you want the template for a 4 column (3 sidebar and a main column), you can get it from 4 column New Blogger Minima template Yahoo group. Blogger for Dummies has been redesigned to become 4 column. I now thus have more room to add widgets and a Google Translate widget has been placed at the top of the leftmost sidebar. If you want this blog to be translated into your language, just click the down arrow of Google Translator and chose your language. If I counted correctly, you can translate into 18 languages including standard and simplified Chinese. 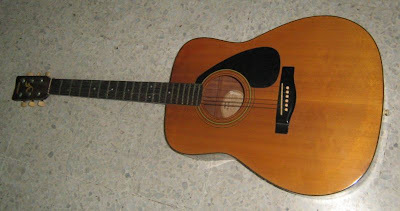 It is a Yamaha FG-400A acoustic guitar. Makes this blogger's fingers itch. After all, I have been blogging for 3 good years and for 3 years, I was glued to the computer. I think it is time for a bit of diversion. However, I have never had any formal training to play a guitar more professionally. That email contains a link to jamorama review and offers guitar courses. It seems it only cost $39.95 and it is via distance learning. Wonder if they offers special price for pensioners bloggers. Depending on the situation, this unnecessary problem may be just a problem of aesthetic where the long URL juts beyond the boundary of the main column into the sidebar either obscuring part of the right sidebar of part of the URL becoming hidden, or it may be worst - sidebar pushed to bottom of the page. Blogger: Beyond the Basics is a new book from Packt, which will take users beyond the basics of Blogger. Written by Lee Jordan, this book will help users to take full advantage of the rich and powerful features of Blogger to transform their blog into a fresh and state-of-the-art blog as quickly and painlessly as possible. Blogger is a blog publishing system from Google with a friendly interface specifically designed to create and maintain weblogs. It allows users to easily create dynamic blogs with great content and many outstanding features including RSS feeds, link-backs, photo slideshows, and integration with popular Google applications like Picasa. Its versatility and ease of use has attracted a large, enthusiastic, and helpful community of users. This book will focus on transforming a typical blog into something fresh and professional that stands out from the crowd. It starts with an introduction to an example blog, discussing what it is lacking, and then adding all the features of Blogger to make it successful. This book will show users how to transform a slow-paced typical business blog into an attractive and interactive profit-making blog with measurable results. It has a very user-friendly approach and shares tips, tricks, and resources to continue to grow their blog. This book deals with using the current Blogger and third-party tools to optimize and create widgets for a blog. Users can transform their blog using existing tools then take it further with more challenging approaches to customizing their blog. All the steps involved in each example are listed under the section called "Time for action". Similarly, the results of that action are listed under the section called "What just happened". This structure adds to the clear, simple, and focused approach of the book. The book is aimed at current users of the Blogger platform who want to get the most out of Blogger and people who use a different blogging platform and are planning on switching to Blogger. Blog owners who promote their own services, expertise, and products, and want to increase their blog's success by pushing the limits of what Blogger can do will get the most out of this book. The book doesn't require any specific knowledge of Blogger or the related technologies: RSS, CSS, HTML, and XML. Everything users need to know to grow beyond the basics is covered in this book. For more details on the book please visit http://www.PacktPub.com/blogger-beyond-the-basics/book. into the search box and press the key ENTER. If you get some results, that means the blog had been indexed. For more details, refer to check to see if website indexed. Now even if it is indexed, the link to your blog will have to be near the top (first few pages) of the SERP (Search Engine Result Page) to be easily found. It may be very far down the lists of links in the SERP (example, in page 1001) in which case you will have to do a lot of clicking through the pages before you can find the link to your blog. In order to come up in the first few results, you will have to do some SEO (Search Engine Optimization). I have intention to start my own Internet business - Blogger Dough which will be related to blogging. However, I need the service of an Australian IT firm and that will cost money. With regard to this respect, it is possible to seek Venture Capital. I had a look at that website and it looks interesting and may be what I am seeking as it is a website via which small startup business can post messages (something like advertisements) in the hope of catching the attention of venture capitalists with money to provide Funding for small business startups like what I have in mind. That website claims to be the largest community for entrepreneurs and investors and I assume is the marketplace which helps connect entrepreneurs needing funding with investors with the funds. Apparently, there are more than 4,000 investors there, which could mean possibly that entrepreneurs could very quickly find a matching Angel Investor to speed up an Internet venture. Now what exactly are Angel Investors. According to Wikipedia, an angel investor is a rich individual who provides funding for a business startup, usually in exchange for convertible debt or even ownership equity. Abandoned or neglected blog URL - is it available? This request frequently crops up. A blogger wants a certain Blogger blog URL but it cannot get it because someone had already registered and either the blog is abandoned or neglected or didn't publish even a single post yet. Blogger wants to know if it is available. Unfortunately, the answer is no. The URL is reserved in case the person who registered it decided to do something about it later. The URL will only be freed for others to register (or claim) it if the original blogger deleted that blog. First, rest be assured that learning enough HTML (HyperText Markup Language, but don't let this bombastic name frighten you please) to be able to control the appearance of your blog and the properties or attributes of various things in your blog is not difficult. Just to reassure you, you can actually add HTML to your blog without knowing HTML at all. You can do the same thing to make text italic. There, you see, you have added HTML into your blog post without knowing anything about HTML. Now to give you confidence, we will add a simple example where you will learn how to use HTML tags to make some text superscript. That is easy isn't it? Be assured that as you read various posts in this blog and in Blogger Tips and Tricks, you will learn enough to be able to do a lot of things. 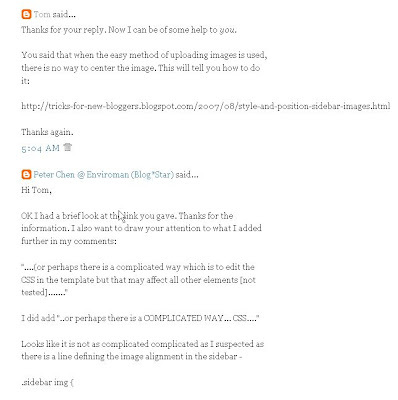 Many beginning bloggers have problems with the uploading of images in Blogger. This is because Blogger always upload the image to the top of the post irrespective of where the position of the mouse cursor is. Now if you use the COMPOSE mode, you will have to use the clumsy process of drag and drop to get the image to where you want it to be. I find this very cumbersome especially if you have to drag it very far down the post. Now that looks like a bunch of gibberish doesn't it? However, no fear as you don't have to understand what is all that gibberish as you can just copy-paste it anywhere you want. For example, I am going to copy-paste it here: . Done. Very simple. Imagine trying to successively having to drag it down the page. Copy-pasting is so much simpler. I can easily add another here by just left-clicking on the mouse and selecting PASTE. So what if you don't know what all that gibberish is all about. You should be able to paste the script anywhere you want, even in another blog post or sidebar or even in the blog Header. For more information about images, refer to Uploading and manipulating images Part 1 and Uploading and manipulating images Part 2.